Mainland High School grad Katie Nugent loved growing up in Northfield. She did her undergrad Health Sciences work at James Madison University and her observation hours here at Bacharach when she was home for the summer in 2008. She earned her PT,DPT degree at Thomas Jefferson University, only an hour from Northfield, where she met Justin Kulp, an Ithaca grad, who was in the same program. While she was a grad student at Jefferson, Katie returned to South Jersey to do her final clinical rotation at Bacharach with Terry Caruso. Justin and Katie graduated in 2012, and both worked in Delaware for a couple of years; Justin in an outpatient setting and Katie at Christiana Hospital in Wilmington. 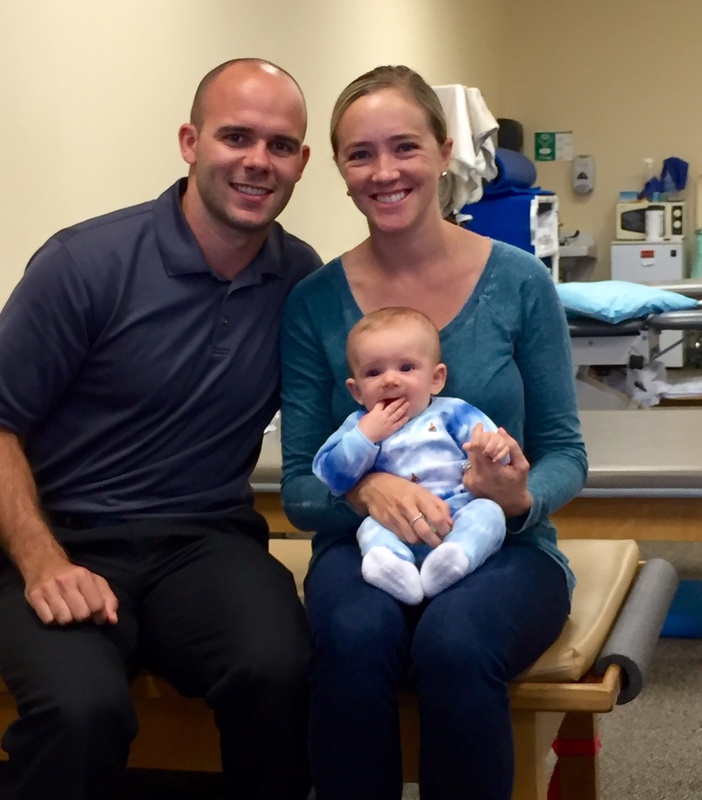 And in 2014 Justin Kulp, PT, DPT and Katien Nugent, PT, DPT got married. When Katie and Justin were married they decided to leave the city and settle down back home. So Katie and Justin bought a house in Northfield, Katie found a job here at Bacharach, and Justin commuted to a job in Vineland in an outpatient setting. When they learned they would welcome a new addition to their family, the commute to Vineland became less appealing. An opening in Bacharach’s Marmora Physical Therapy Center, however, was very appealing and Justin took the job in December of 2015. Kismet. We love local success stories of people who grew up here and love it here, and we are glad Katie was homesick for the Jersey Shore. Which is how we got two terrific DPTs just for enrolling one.